Gratitude is a free panacea that we often refuse on a daily basis. As Arthur Brooks writes, academic research shows that people who practice gratitude have overall higher life satisfaction, have sharper mental focus, suffer fewer cases of depression, spend more time in physiological states of calm, and demonstrate greater emotional intelligence. If that weren’t enough, your own gratitude can create these behavioral changes in those around you as well. It seems obvious, right? Resolve to be more grateful. But getting from an intellectual agreement about the merits of gratitude to daily practice is no easy feat. Even worse, for many of us “organization kids,” each new accomplishment, relationship, or gift we receive immediately recalibrates our expectations. I clearly remember mailing off my own application to Harvard Business School and thinking, “If I could just get in to HBS, I’d be set for life!” Well, I was accepted, showed up on campus, and within about 24 hours had moved on from “getting in” to “getting a job in finance.” Somehow I landed the thing I had always dreamed of — and was grateful for less than a day. Or, as a pastor I heard recently put it, when you live in an apartment, all you can think about is a house. When you live in a house, all you can think about is a house with a pool. 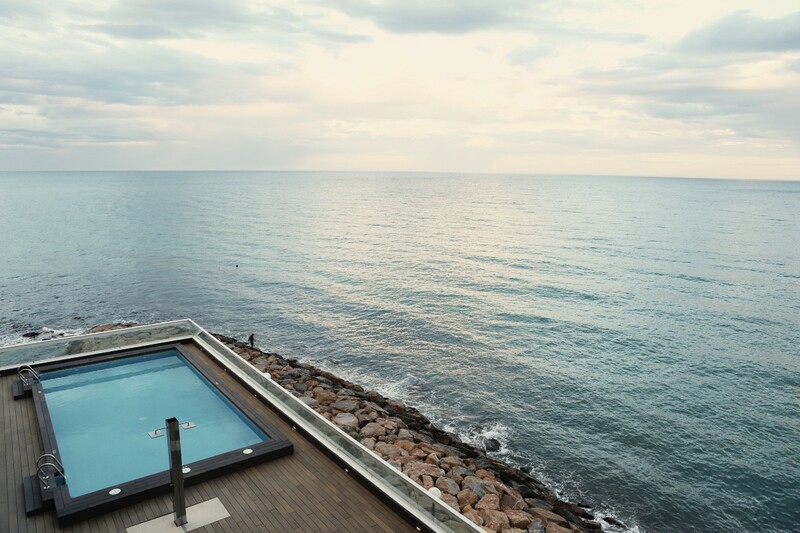 In a house with a pool, all you think about is a second house. DAYUM! That is a nice pool. Or consider the envious billionaire — how on earth could someone with $1 billion be envious? Well, he moved in next door to someone with $2 billion. As soon as we hit milestones, we establish new anchors and become numb to things that only days or months ago would have been extraordinary. This anchoring undermines our gratitude and robs us of our joy. The first step in expressing gratitude is to actually take notice of the things you have to be grateful for. Expressing gratitude to others also takes a certain kind of noticing. To really show people that you’re thankful means knowing what they care about. A lavish gift such as a leather bag sent from a department store says: “I had my admin call in a gift — and I said, ‘Make it a nice one.’” Meanwhile, a $7 spatula from your wife’s favorite store after she melted the old one in the dishwasher says: I noticed you, I heard you, and I’m giving you something that means something to you. Andy Mills, HBS ’79, former chairman on Thomson Financial, a mentor of mine, keeps a “gift notebook” in which he writes down little observations or things he hears from the people closest to him. When his wife’s birthday or son’s graduation is coming up and he needs a gift, he turns to the book. When you make keen observations, note them somewhere. When first meeting someone, a common conversational entree is to ask about their background. “I’m so thankful that Joanne introduced us — but I don’t actually know how you two know each other,” I said to a potential business partner. “Oh we go way back,” he said. “As freshman we were in an improvisation group together.” Done. As a thank you, I did a little research on improv. Are there theaters where he lives? Could I send him tickets to a show? What about a book or an article? I find a book called Improv, the bible of improv it turns out, used in tech companies as mandatory reading for how to relate to other people. So my thank you is a hand written note paper-clipped to the cover of the small paperback edition of the book. Total cost is about $25 with shipping. Once you pickup on something that person cares about, showing gratitude can be pretty easy — and fun. 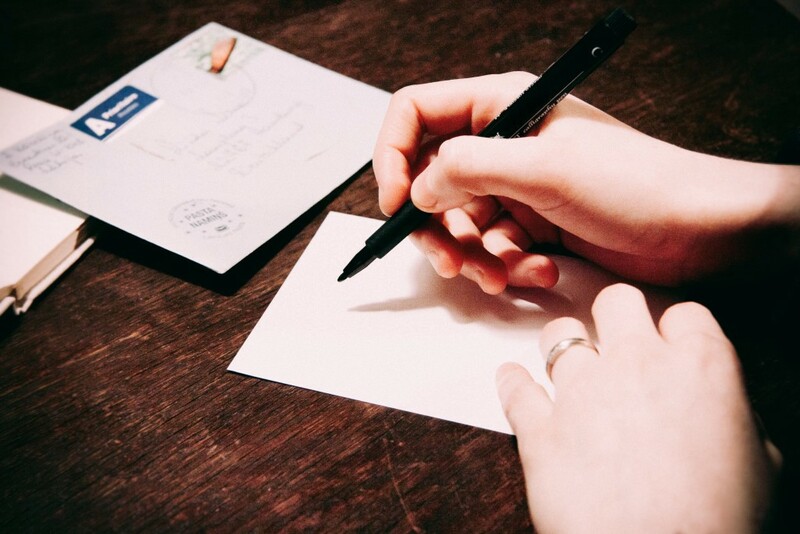 An old-fashioned, hand-written thank you note still goes a long way. You can find good advice on the mechanics — cream or ecru paper, black or blue ink — but even more important is what you say. Be specific, say why you are thanking them, and show them how your conversation made an impact on you. Dear Sandra: Thank you for your time and advice about our paper company. Jason and I spoke for hours about how we might diversify our products, increase prices, and improve design — thank you for those excellent suggestions. We are eager to look up Johnson’s Paper — we appreciate that referral. Thank you for sharing your stories and counsel with us. PS: I also so appreciated the story about your first company — I can’t believe you sold mangos from a bicycle! Busy people get a lot of inbound communication; if you want to stand out, make your communication stand out. People get fewer handwritten notes than emails, so notes always win. But people get even fewer Fedex packages. So consider a package — or at least something beyond a note. I had some of my favorite quotations printed on nice card stock that I occasionally include in my thank you notes. On future visits to their offices, I’ve seen a few of these quote cards taped to monitors. My coauthor of Get Backed, Evan Loomis, wanted to send someone who had helped with our book a nice thank you gift. Bottle of whiskey? Fancy pen? No thanks. He listened and learned that this person had a 9-year-old son with whom he got into Nerf gun fights. What did we send? The fanciest Nerf gun we could find with a note about never losing another Nerf war. That will be a gift never forgotten. It can be hard to know what others need, especially if you are meeting with people senior to you. My business cofounder and former HBS classmate Will Davis taught me this practice: at the end of a meeting he asks: “So — you have helped me so much here. Is there anything I could possibly help you with?” I have received quite a few answers that I could easily help with. For example, one investment firm was actually hiring for a new analyst. I was able to find the job post, circulate it to my networks, and then pass along a few interested candidates. 5. Circle back at a later date. Most people walk out of a meeting and do nothing. More organized people send an email. And the even more organized a hand written note. But for nearly everyone, meetings are forgotten within a few weeks. Consider staying engaged by setting yourself a reminder to do something at a later date. I met a fascinating founder who was impressively committed to reading a book a week. His habits did challenge me — and I wanted to reconnect around that idea. Dear Jason: Can you believe it was six months ago we met? I still remember your audacious goal of reading a book a week. I couldn’t keep up — but managed to finish a book a month. By far my favorite was The Power of Habit by Charles Duhigg. How did you do? This is possibly the most outrageous of these suggestions — and certainly one that might cause Emily Post to roll over in her grave. Eric Koester, COO of Main Street Genome, records a video message on his iPhone and then sends it by SMS as a form of a thank you, follow up, or even an introduction. Sending a video — or even an audio note — lets you convey emotion, enthusiasm, and context in a quick note. At my company Able, my cofounder and I sent a thank you video to our customers — whom we literally have to thank for our jobs and a chance to build a company. Harvard Business School classmate Jordan Strebeck keeps for himself a call list similar to the sort that politicians have to dial donors. But Jordan does it to check in on his friends. When he has a few minutes in the car, he dials the next person on his list. He knows many of them won’t be able to answer during the workday, but even leaving a voicemail provides an opportunity to say thanks, tell them he’s thinking of them, and even offer a little encouragement. Two years ago my wife and I bought our first house; it was a reach financially — but it was our dream house. Given how fleeting happiness can be for me, I worried that the excitement for the house and our appreciation of it would fade quickly. Knowing this, I did a little something silly when we bought our house. Every time I pull into my driveway, I let the little bump I drive over trigger in my mind this thought: “Wow — I’m so thankful I get to live here.” And I make sure to say that to my wife — as we both makes sacrifices so we can live here. Two years in, that driveway bump sparks that thought in my mind nearly every time. Small, regular practices of gratitude can change your life — you’ll be healthier and sharper, as will those around you. At the very least, these practices may help you think about that pool a little bit less. As you’ll notice above, many of ‘my tips’ are really the best ideas I have collected from friends. Would you mind sharing your best practices? How do you cultivate a spirit of gratitude? A version of this appeared on the Harvard Business Review blog on December 1, 2015, available here. Cofounder of @AbleLending (small business lender), author of best-selling GET BACKED, and Facebook, White House, Clarium, Princeton, Harvard, Yale alum.